If you are applying EQ in audio mixing, then as a beginner you should know these best practices. Take note that this applies to any genre whether it will be rock, pop, country or even classical. Try this EQ best practices in your mix, it will drastically improve the quality of your mix and make you become a better audio mixing engineer. If you are a beginner, this is a must-read article. a.) Introduce more audible artifacts due to some extreme boosting/cutting. This can be phase related issues or errors related to digital summing/calculations made by your DAW or plugin. Also this will tend to worsen if you are using a combination of bad EQ plug-in, poor quality DAW (digital audio workstation) and bad recorded sound. b.) Introduce more problems in maintaining a good level. Cutting or boosting can introduce drastic changes in volume level. An EQ boost can increase the volume of the track while an EQ cut can decrease volume. These big changes in volume can take a lot of time to balance in the mix. c.) Can either make your mix to sound too thin, too much bass or too much mid-range presence; which is usually not good if you want a more balanced mix. What you will do if you really need to cut and boost more than 12dB? a.) Recording or tracking in an environment that does not have flat EQ response. Supposing you want a more mid-range sounding acoustic guitar but you are placing the guitar amplifier cabinet facing towards the corner of the room. Since corners can naturally boost the bass levels, you can hardly get that mid-range sounding guitar in the recording. Instead what you will get is boomy sounding guitar. 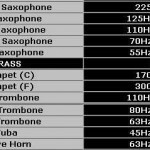 Even if you cut the bass frequencies on the guitar by more than 12dB, it does not sound as good and natural as those captured correctly. You really need to record your tracks correctly to avoid drastic changes in the EQ. In the above example, the guitar amplifier cabinets or microphone can be placed away from the corners of the room and in a more spacey surrounding to capture the natural mid-range sound of the guitar. Another example is that the guitar already includes an EQ on it (included with the pickup amplifier) with pre-defined settings. 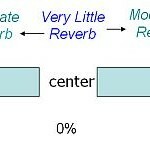 It makes sense to turn all the EQ knobs to flat so that the guitar sound can be captured as flat as possible. 2.) If re-recording seems impossible; then use a highly accurate EQ made for this purpose. 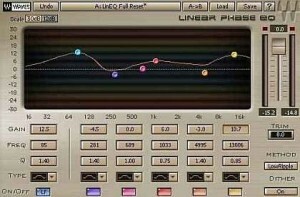 A good example is the Waves LinEQ plugin. You will be able to set critical parameters such as Low Ripple, etc. 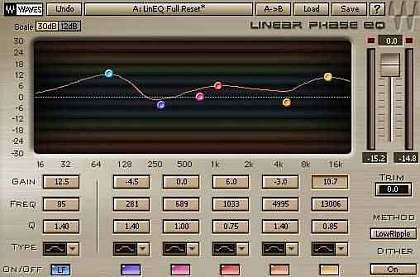 all settings that you need to minimize the undesirable effect of drastic EQ changes. 3.) Do not make big EQ changes on all of your tracks. Making big changes such as reducing or cutting 12dB may sound reasonable for one track which cannot be re-recorded. But doing it for all of your tracks are not recommended. Fixing a recording related EQ issue is best solved by re-recording.